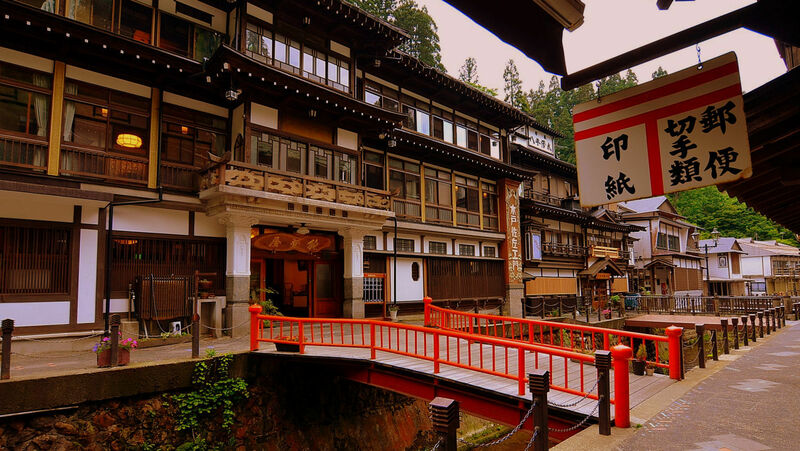 “Ginzan Onsen” (Ginzan Hot Spring) where wooden inns built from the end of Taisho to the early Showa era is a popular tourist spot as a retro hot-spring town. 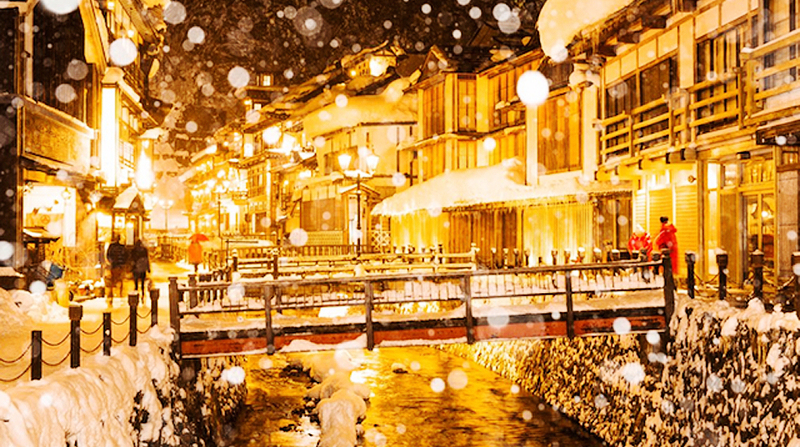 There are many tourist attractions that make you feel the history around “Ginzan Onsen” which once had a history of being crowded as a silver mining site. In addition, there are many spots where you can enjoy nature because it is a rich natural land. This place boasts a deep-rooted popularity as a retro hot-spring town feeling somewhere nostalgic, and it can catch traveling that can not be easily tasted elsewhere. 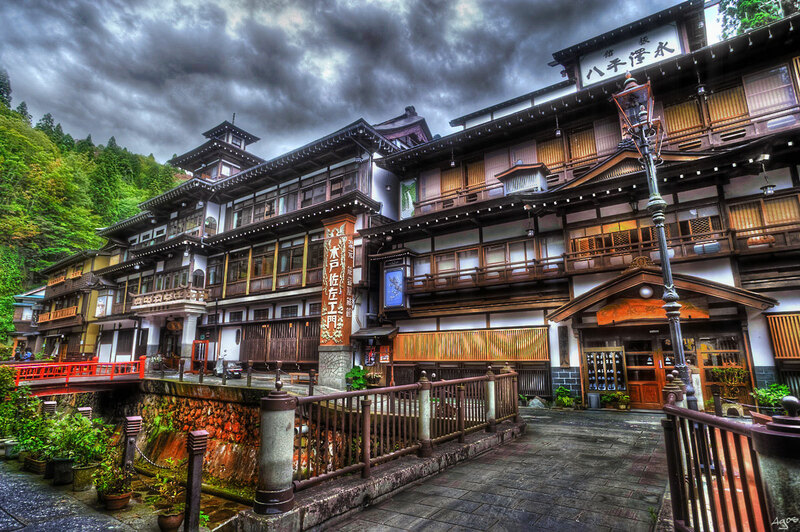 It was Edo period when Ginzan Onsen opened. People who work at Nobesawa Silver Mine, which was once in this place, are said to be beginning to discover a hot spring that springs into the silver mine. After that, silver mine closed down, but Ginzan Onsen became popular as a hot spring resort. However, during the Taisho Period, the Ginzan Onsen was hit by the flood. Many of the hot spring accommodations have been swept away, the amount of spas discharged dramatically, once it has been closed. However, due to the efforts of local people, a large-scale boring survey was conducted at the beginning of Showa era, and a large amount of hot water was discharged. 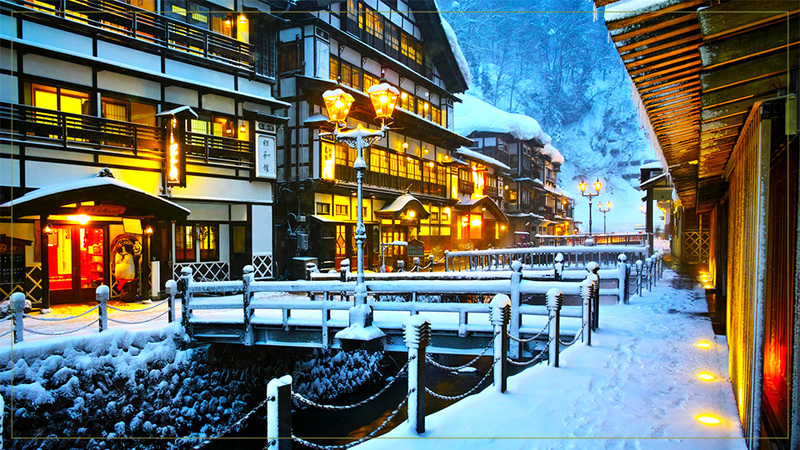 As a result, Ginzan Onsen has revived as a popular hot spring resort like the present. In addition the inns have been renovated from a traditional three-storied building to a four-story wooden high-rise building, and the romantic cityscape became popular. There are places of interest other than hot springs. You can enjoy soft drinks with Japanese sweets etc. at sweet dishes “Haikarasan street” in Ginzan hot-spring town. In addition, ramen, soba, curry rice etc. are prepared, and it is also possible to take a relaxing meal. Please enjoy delicious sweets and drinks in a retro style shop suitable for Ginzan hot spring. The “Ginzan Onsen” (Silver Mine Hot Spring) in Obanazawa-shi, Yamagata is said that it has became a model of “Spirited Away” which is the Japanese famous animated film. 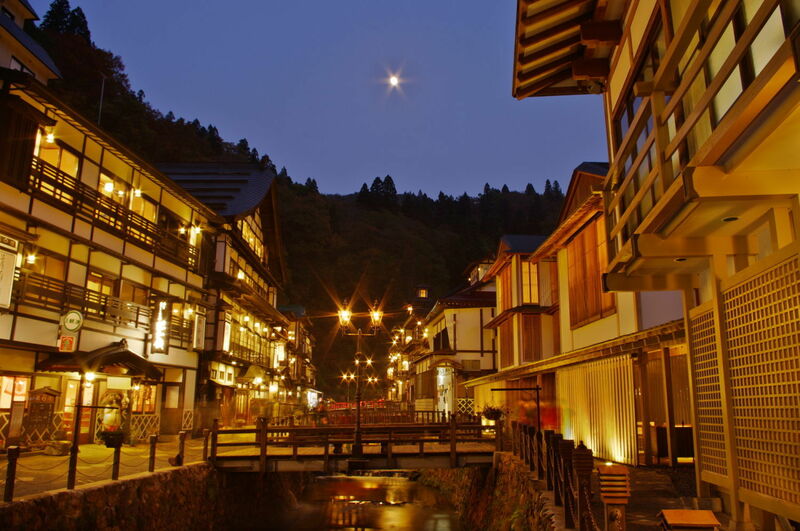 A wonderful hot-spring resort feeling nostalgia is spreading out in “Ginzan Onsen”. This place is a hot spring resorts having good taste that seemed to travel back in time to the Taisho period. It is famous for a lot of snow and a watermelon of noted product, and known the place where the TV series of “Oshin” was shot. The wooden multilayered hotels form a line and gaslights is burning, it is the place where everyone wants to try to go once. Ginzan Onsen is among the green. Along the both sides of the “Ginzan Gawa” (Silver Mine River) flowing through the center of the town are lined with historical wooden hotels which was built from last years of Taisho era to early in the Showa era. A vein of silver was discovered in the 16th century, and the Ginzan prospered as “Kogi Yama” (Shogunate Mountain) in the Edo era. It attracts attention now as a hot-spring resort. There are many highlights in the calm and stately cityscape, so people come throughout the year. Each hotel is lighted up beautifully, too. The contrast with warm color of light and housing parts of the historical wooden building is splendid. Don’t you think it is splendid experience to soak in the hot spring at night while looking at the town with this light?